Started in March 2013 and June 2014, Japan Top 10 and KTop 10, respectively, has been a regular fixture for listeners across the world who want to learn and enjoy Japanese and Korean music. The creation of Japan Top 10 and KTop 10 were originally intended to be side podcast ventures from our now defunct show, MTI Countdowns, which was started in May 2008. MTI Countdowns was started by Producer Jack and featured a Mainstream Top 40 English music format. It was also the show that many of our senior staff used to come from. Through the show’s 7 year run and the production of 290 episodes, several staff members and hosts have dedicated their time to immaculate a podcast that sounded upbeat and different. Unfortunately, this effort was incongruous with our audience share, and thus it was only sensible and idealistic to cease the production of the MTI Countdowns and allow us to enable salient production to Japan Top 10 and KTop 10. The original branding of MTI Countdowns is now known as the parent organization to the 2 podcast shows, Japan Top 10 and KTop 10. However, the previous MTI Countdowns podcasting show was eventually revamped after a year in June 2016, where the show became known as MTI Top 25: English Hit Songs First but eventually cancelled again at the end of 2016. A question that gets constantly asked is what the acronym “MTI” stands for. MTI previously stood for Maytable Inc. Currently, the acronym “MTI” does not mean anything. The name was formed back in the early 2000’s through childhood books written by Producer Jack and eventually fortified into a YouTube video channel in 2006 where various comedy themed videos were produced. 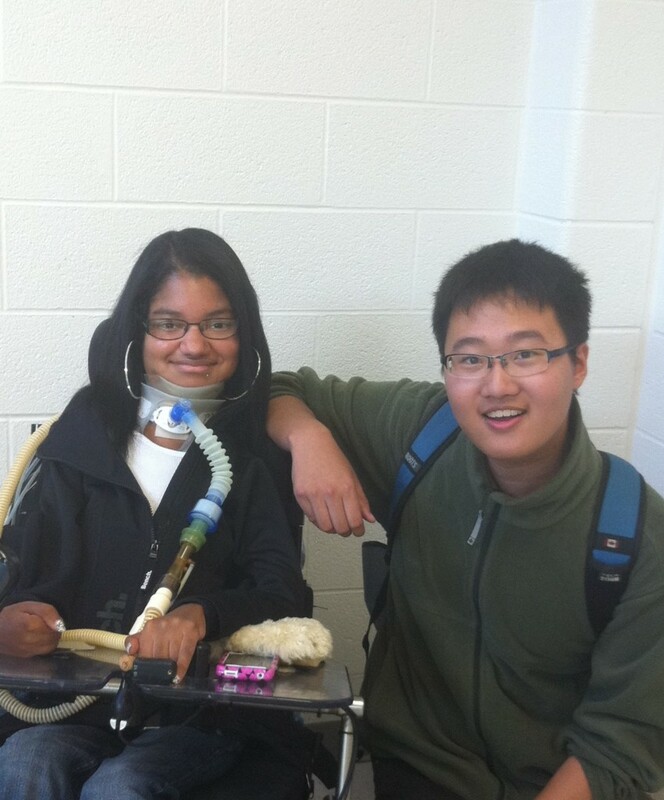 Along with Producer Jack, other current and previous podcast hosts have also taken a role in the production of these videos including current host, Zilin. 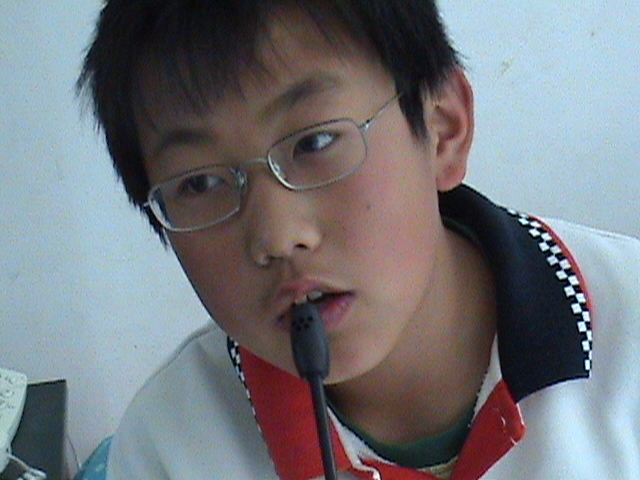 Current staff member, Zilin completing his first MTI Countdowns episode back in 2008 as a guest host. 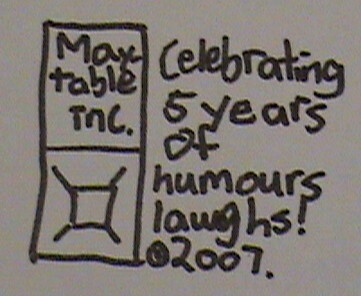 In late 2007, before the podcast was created, “Maytable Inc” was shortened to “MTI” and the YouTube channel became known as “MTI”. The shift from the YouTube videos occurred in the summer of 2008 where it became increasingly difficult to find time to gather together and produce a video, as a result of extraneous commitments. As the attention on video production started to dissipate, the focus began on producing the newly created podcast called “MTI Countdowns”. The first few episodes were released during this period in 2008 and continued with guest hosts along with Producer Jack’s occasional light commentary as a host while production of episodes remained light until 2010. 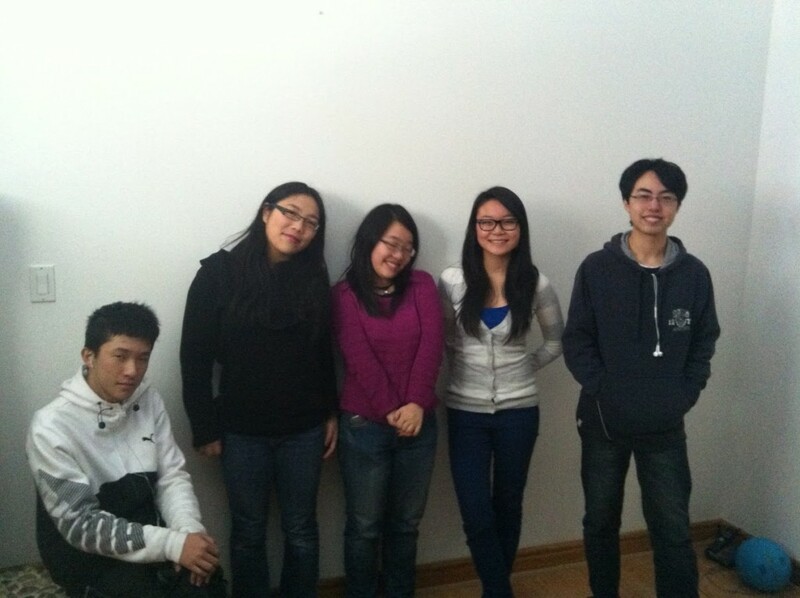 First official MTI Countdowns meeting in December 2012. Current staff, Paul is on the very right. The first full time hosts, Sandra and Andy, was taken into the podcast in October 2010. Andy left originally after 2010 but did eventually come back in 2013 before announcing another departure in 2015. Sandra continued on the podcast and had various subsequent co-hosts as the years progressed but eventually also departed from the podcast in 2015. As more hosts became introduced onto MTI Countdowns, episodes started to become released on a weekly, Saturday basis in early 2012. The hosts and staff members varied each year and over 20 have dedicated at least some of their own spare time to help out on the show. When MTI Countdowns (the English podcasting show) concluded in June 2015, the branding was transferred to represent our current parent organization, comprising of our 2 main podcasting shows, KTop 10 and Japan Top 10. In August 2017, MTI Countdowns officially incorporates as a non-profit organization, based out of Canada. This allows us to further our mission statement of providing our listeners with high quality education and entertainment in the Japanese and South Korean music industry. Japan Top 10 was started on March 1, 2013 by Sandra and Producer Jack with special guests from the MTI Countdowns podcasting show, Angela and Sigma (which is current staff member Paul’s alias on MTI Countdowns). Episodes were originally released on a Friday bi-weekly basis, until 2014 when episodes began to be released on a Tuesday bi-weekly basis. Sandra continued to host solo on Japan Top 10 for the rest of 2013. As the years progressed, more staff members were introduced to the show. When the MTI Countdowns podcasting show was cancelled in June 2015, the remaining hosts were transferred onto Japan Top 10, with one eventually leaving for KTop 10 after hosting a few episodes on Japan Top 10. The first internal staff member was also introduced to Japan Top 10 in 2015. Previously, all staff members who were on the podcast (including MTI Countdowns and KTop 10) were responsible for hosting duties. In addition, 2015 also marked the first time Japan Top 10 hit number 1 on the Japanese iTunes store! A side show, Artist of the Month, was fortified to become a regular feature in 2015, released on the first day of each month. Previously, Artist of the Month episodes were only released during special episode seasons and did not have a host dedicated to it. In 2016, we introduced more internal staff such as content producers along with audio editors and new on-air hosts. In 2017, Japan Top 10 started our Patreon Donor’s Club, which provides not only support and funding to our podcast, but exclusive benefits for our loyal listeners like advertisement free episodes and more detailed episodes. Japan Top 10 also brought back collaborative episodes between hosts in 2017, starting with the summer time specials. KTop 10 was started on June 25, 2014 by Andy and the first episode was recorded on a trip to Rochester, NY. Andy worked solo as a host and managed operations independently until March 2015, where Elizabeth, the current general manager of the show, was introduced onto KTop 10 as a host. 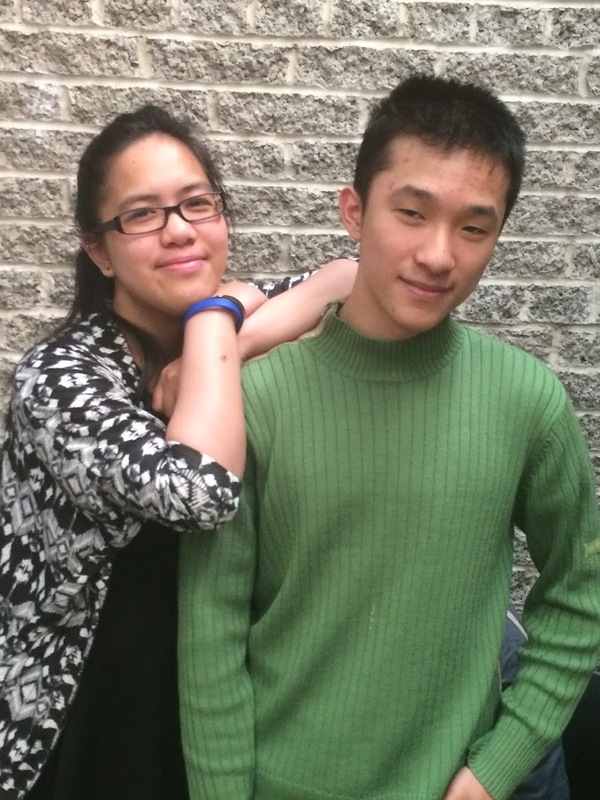 Original KTop 10 hosts, Elizabeth (current staff) and Andy (2014-2015). After the departure of Andy in mid 2015, Elizabeth took over the entire operations of KTop 10 and introduced new hosts onto the show, including their first internal staff member. Near the end of 2016, KTop 10 started a crossover promotion with the magazine, The Kraze, which lasted into spring 2017. New staff members were also introduced onto KTop 10 throughout the 2016 and 2017 years. And that is where our history talk ends and we would like everyone to know that there is still history to be created on our podcast. Our listeners are the fundamental forefront of whom we cater our show to and our history would be carved by the entreaty we get from our listeners. This is where your feedback plus donations comes in, which will give us the ability to create a podcast that transcends the expectations of our listeners. That is our goal and aspiration for the future of the podcast and we will work immensely hard to strive and aim for this goal. Remembering our former host Alisha Lee and her dedication to the podcast from 2011 to 2013. The memories you shared with everyone will never be forgotten.